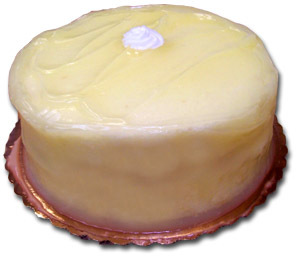 Yellow Layer Cake Filled With Vanilla Butter Cream Icing and Iced With Old Fashioned Lemon Glaze. Cake Shown Above May Be Too Much Lemon To Handle! !